Instead of examining all recorded events, you can focus on events intersecting with given event or group of events. 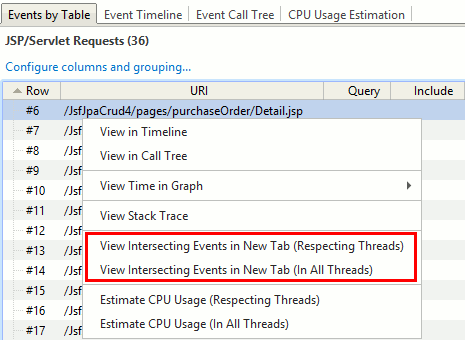 For example, select event corresponding to particular servlet request, to see nested events such as database operations, file I/O, socket connections etc. As the result, a new "Events" tab will open.